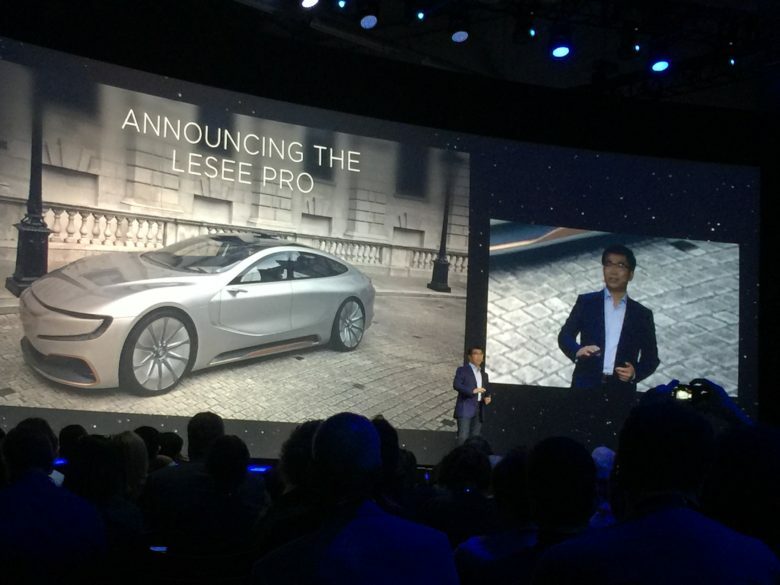 Foxconn is building an R&D center for autonomous cars in U.S.
Another Chinese tech company, LeEco, shows off its autonomous electric concept car in San Francisco. Foxconn will open an R&D center dedicated to autonomous vehicles in Michigan, according to company founder Terry Gou. “Automotive development in the U.S. is … more advanced than China,” said Gou. He also said that he is interested in artificial intelligence and, specifically, deep learning technology. He declined to share the amount of investment Foxconn will be making in Wisconsin, although it’s likely to be in the multibillion dollar region. The new R&D center will follow a $10 billion plant in Wisconsin, which Foxconn recently announced. The Wisconsin plant will build LCD panels for future mobile devices, and will create 3,000 jobs — with the possibility of this expanding to 13,000 jobs in the next four years. The autonomous car lab will put Foxconn right in the heart of the U.S. automotive industry. Detroit, Michigan is the city in which General Motors, Ford, and Chrysler all have their headquarters; meaning that there will be plenty of local talent for Foxconn to pick and choose from. Working on the Apple Car? As has been heavily rumored, Apple is also interested in the electric (and possibly autonomous) car business. Last year, it opened a small R&D office in Berlin — housing 15 and 20 “top-class” employees, many of whom have previously worked in Germany’s buoyant automotive industry. In addition to a host of facilities in Silicon Valley, Apple has also leased space in Ottawa, Canada, to tap local expertise in automotive software. There’s no word on whether Foxconn — which is among Apple’s leading manufacturers — will be working with Apple in any capacity on its autonomous car project. It certainly couldn’t hurt to have such a major manufacturer at hand though, right?